Registered Florida Pharmacy Technicians are currently in demand in the Jacksonville, Florida Metropolitan area. Jobs and positions for registered pharmacy technicians who are licensed and certified have been on the rise due to the favorable economic atmosphere that the city has been experiencing the past several years. Jacksonville has almost a million residents and is the most populous city in Florida. As the center of Duval County, Jacksonville is also the largest city in the nation by total physical area or geographical considerations. The Jacksonville metropolitan area has a population of almost 1.7 million residents and it currently ranks as the fourth largest in Florida. What does this mean for Florida Registered Pharmacy Techs and CPhT’s? It is estimated that almost 20% or one-fifth of the nearly 4,000 pharmacies in Florida are located in the Jacksonville metropolitan and surrounding areas. Registered pharmacy technician jobs for CPhT’s are on the rise due to the growth that Jacksonville is experiencing. Ranked by Forbes magazine as the 36th best city for business and careers of all US cities, jobs are predicted to increase by slightly less than 4% a year in Jacksonville and its neighboring cities. Known to be a national center for the defense and transportation industries, the city is famous for the Port of Jacksonville and for its numerous military facilities. Jacksonville can boast that the city is the 3rd largest military and defense center of the US with the Jacksonville, Mayport and Blount Island Naval Air Stations, plus the Naval Submarine Base at Kings Bay. Additionally, the city is known as a major tourist and visitor attraction and is world famous for golf, fishing and its beautiful beaches. Employment opportunities and pharmacy technician jobs in the Jacksonville Metropolitan area include cities such as Pointe Vedra, Neptune Beach, Sawgrass, Atlantic Beach, Orange Park, Mandarin, St. Johns and Palm Valley to name just a few. Also the fact that the city is roughly only 25 miles from Georgia and it all leads to numerous opportunities and jobs for qualified Registered Pharmacy Technicians and CPhT’s. There are estimated to be over 2,000 jobs in the Jacksonville, Florida area for pharmacy technicians. These technician positions exist in all types of pharmacy settings. They include traditional independent community pharmacies and retail chain pharmacies, as well as institutions, clinics, hospital pharmacies and specialty pharmacies (such as compounding pharmacies, IV infusion pharmacies and mail-order pharmacy businesses). 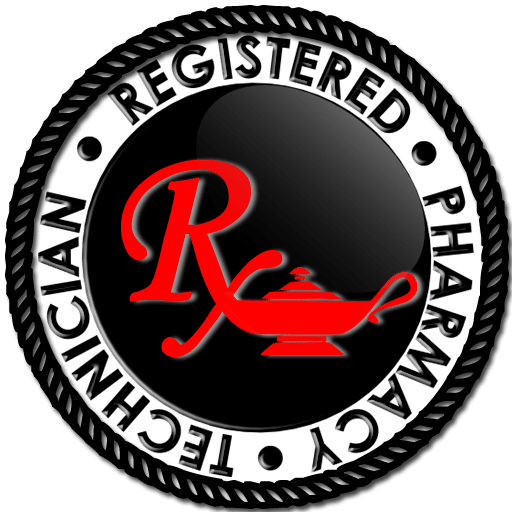 Jobs for registered pharmacy technicians are also commonly found in the Jacksonville metro area working for pharmaceutical manufacturers and insurance companies, plus for medical software development firms. For complete information regarding becoming a registered pharmacy technician in Florida and a description of job tasks performed, please click here. Are you a Registered Pharmacy Tech looking for a new opportunity in the Jacksonville area? HealthCare Consultants Pharmacy Staffing is a nationally renowned pharmacy staffing company that has been matching qualified registered pharmacy technicians in Florida to the right job and employer for the past 27 years. Headquartered in Central Florida, HCC has an in-house team of trained consultants that can help assist registered technicians to find a job that matches their skills and experience, plus fits their lifestyle and needs. HealthCare Consultants Pharmacy Staffing can place pharmacy technicians in a variety of positions throughout the Jacksonville metropolitan area, including current pharmacy technician job openings. Call us now at (800) 642-1652 or click here to let us know your availability and we’ll get right back to you to discuss which job opportunities best match your skills and needs.